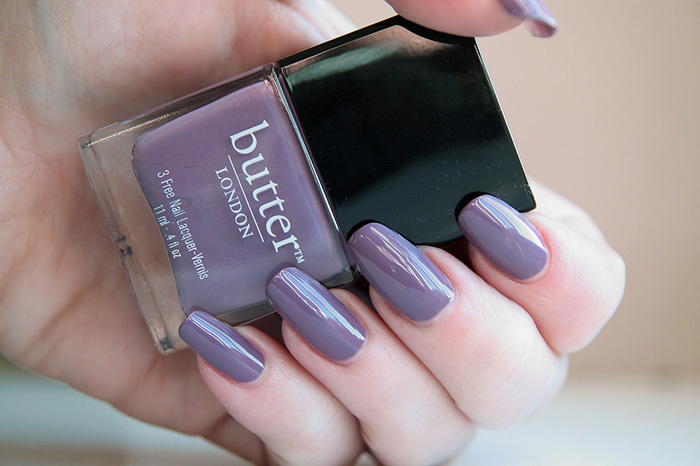 Butter London Scoundrel is a muted, warm lilac which sits nicely against cool skin tones like mine. It’s one of my favourites from the brand and applies well without issues. Look out next week because I’ve got a special interview with Butter London’s Founding Creative Director Nonie Creme and some Autumn/Winter 2011 previews for you! That’s a gorgeous colour, love purple polishes but this looks like it leans a little too grey for my rather yellow skin. Wish my nails were as long and neat as yours! I love this one too. It was my first Butter London and a great introduction to the brand. Rosie Lee is my Butter London fave. Can’t wait to read the interview. This color is so pretty! Looking forward to the A/W preview!